Guelph, ON — August 22 - September 2, EquiMania! made an impact at its inaugural appearance at Minnesota State Fair! Produced by Equine Guelph at the University of Guelph, EquiMania! 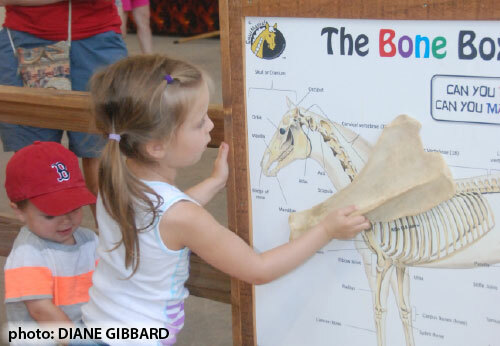 is an interactive youth education program and exhibition designed to teach kids about horse health and safety. EquiMania! moved in at the Minnesota State Fair horse barn and that is where the replicated display will stay for the next five years to cater to a whole new audience in the U.S.